Every year there comes a travel package that fits like a glove for a huge amount of people. 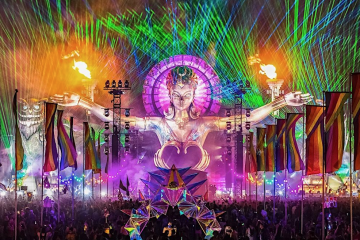 One N Only’s customizable packages do just that for a huge amount of EDC attendees who want to make their EDC trip comfortable as possible. One N Only’s full package starts off with a departure from San Francisco, San Jose, Sacramento, Chico, Los Angeles, or San Diego. People have a choice of staying at the Tropicana or Arizona Charlie’s; a hotel that’s off the vegas strip but closer to the Speedway. Limos will take everyone from the hotel to the Las Vegas Speedway for EDC all three nights, and access will be given for select pool parties and nightclubs for those 21 & older! This package can easily be enjoyed in parts for those who can drive to Las Vegas but need a hotel or are staying somewhere, but want a fun way to and from Vegas or the speedway. From all the reviews we’ve read, one thing is crystal clear: that this is a company that exists to serve its customers. 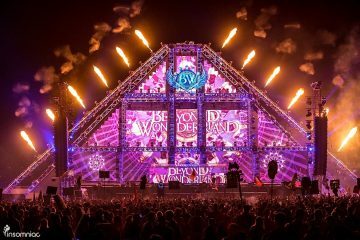 STILL NEED AN EDC VEGAS HOTEL FOR A GOOD PRICE? YOU’RE IN LUCK! This is that opportunity to save BIG during EDC. Tropicana has released a final 20 rooms at a ridiculous rate, $399 for 3 nights (June 16th-19th) and $499 for 4 nights (June 15th-19th). Each room sleeps up to 4 guests. Sleep solo or invite your friends. Once you book, your name will be under your room. It’s that simple. What you pay is the final price. No hidden resort fees, resort fee included in the final price. Click the link directly down below to purchase your EDC room today! Check out all of your options on One N Only’s website and check out their promotional videos below.